Your gums may look pink and wimpy, like a piece of soft Double Bubble Gum, but don’t be fooled. Your gums are the defenders of your tooth roots, and they are tough. But like a fighter who still needs his mom to cook good meals, your gums still need you to take care of them. Prevention is key to keeping them healthy. It’s not really a big deal — all that’s required basically is some attentive home care, plus keeping your twice-yearly visits to Cosmetic Dentistry Center for professional cleanings and exams. Of course, many people ignore that advice. But they do so without the consent of their teeth, which would be screaming to not allow gum disease to get started. Periodontal disease is the medical term for gum disease, periodontitis if you want to get downright clinical. It involves infection of the gums that can end up with tooth loss and an extra spot in the remake of Deliverance. The funny thing about periodontitis is that it is almost totally preventable. If people knew the downside of what happens with gum disease, they’d definitely be more attentive to their home dental hygiene. It all begins with dental plaque, the sticky film that forms on your teeth throughout the day. Plaque has lots of bacteria in it. Dental plaque is easy to remove with daily brushing and flossing. In fact, a good home dental hygiene program of brushing twice daily for two minutes and flossing once a day is usually enough for most people to never have to deal with gum disease. But if you pay more attention to clipping your toenails than home dental hygiene, and if you throw in lifestyle choices such as smoking, plaque can have its way with your mouth. When plaque isn’t removed it hardens into calculus, also known as tartar. Once tartar forms it doesn’t go with some fried cod in Boston; it can only be removed by a professional hygienist. Gum disease isn’t like some other diseases — you don’t simply wake up one day and have it. This will give you plenty of warning. The bacteria in plaque produce toxins that irritate the gums. Irritated gums are not happy gums, and they become red and bleed easily. Plus, the tartar that has formed gradually makes its way below the gumline, leading to more irritation. This irritation is called gingivitis. You may be the busiest person this side of tug boat captain in Boston Harbor, but at this point you can still reverse things with a professional cleaning from the team at Cosmetic Dentistry, along with more dedicated home hygiene. 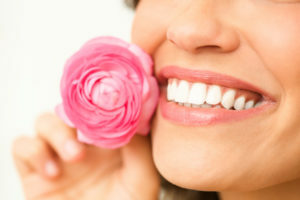 But if you think you’re just too busy and opt to stay away, the gum irritation worsens and the gums begin to pull away from the teeth causing pockets to form. These pockets hold all the bacteria from the plaque and that bacteria begin to attack the roots of the teeth. You can see where this is leading — tooth loss and jawbone deterioration. Now, a trip to our office will be necessary just to keep your teeth. Dr. Walk or Dr. Bamel will need to do things such as gum planing and scaling. You may receive an antibiotic prescription if infection has taken hold. A root canal could be required to save a tooth or teeth. Pity. It all could have been prevented with good home hygiene and twice-yearly visits to us at Cosmetic Dentistry Center. Is it time for your next exam and cleaning? Call us at (617) 965-7673 to make your appointment.